Amazon Smile: Helping Animals As You Shop! The Santa Cruz County Animal Shelter Foundation is governed by a five-person volunteer board representing a diverse cross section of Santa Cruz County. Each Board Member is actively involved in some aspect of the Shelter’s operations, enabling them to be effective advocates for the range of work that the Shelter performs. Designate the Santa Cruz County Animal Shelter Foundation as your charity of choice by going to www.smile.amazon.com and typing our name into the search area. Then, just remember to start each of your Amazon browsing sessions from the AmazonSmile webpage, where you will see your supporter status in the top bar. Amazon will automatically make a donation equal to 0.5% of each purchase to help the animals at the Santa Cruz County Animal Shelter. 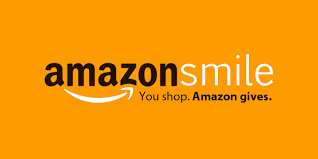 Simply bookmark the www.smile.amazon.com page and shop as normal, knowing that animals in need are benefiting from every item you buy!